There is a lot to like about the Xfce desktop environment. It’s fast, responsive, very easy on system resources, and over the past few years has really matured so that it looks very nice, has a ton of themes, and even a bit of eye candy. But for Linux users switching from GNOME to Xfce, it may feel a bit… sparse. Sure, there are media players and cd burning software, and all that, but sometimes it seems as if there aren’t all that many options. A good example of this is when dealing with panel applets. Panel applets are basically tiny applications that run in the system panel. There are many different applets, from those that check your email to those that check the weather. Some report on system load, while others let you change the volume, or the wallpaper. You can launch applications with panel applets, or change users. 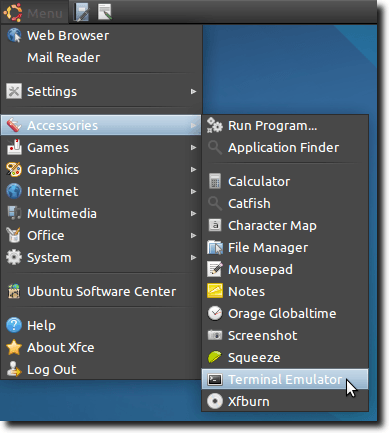 Everything just mentioned is available in Xfce, but there are still areas you may feel are a bit lacking. One prime instance of this is the main Xfce menu applet. It’s fine; there’s nothing wrong with it, but for someone used to the GNOME main menu (an optional menu used in some Linux distributions), it just feels a bit bare bones. Fortunately, it’s entirely possible to run GNOME applets in the Xfce panel. Here’s how to do it. 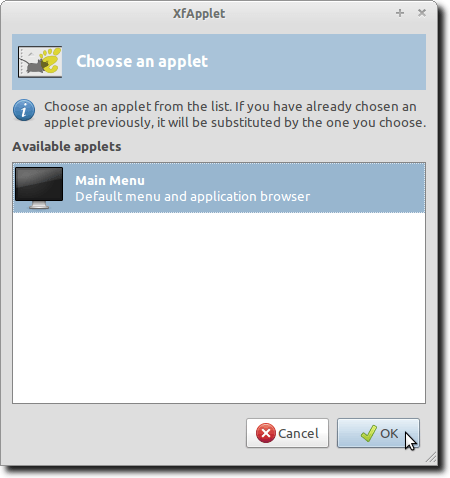 The XFApplet is a Xfce applet that allows you to embed GNOME applets inside it. This is the key to the whole deal, and fortunately, installing it is a snap. You could certainly install it via the package manager, but it’s easier if we simply open a Terminal window. Note: This is the command to use in Debian and Ubuntu. For other distributions, check with your package manager for the exact name and command. In the screenshot below, you can see that this command installs the plugin, plus a few required libraries. Installing XFApplet should take between a few seconds and minute (at the most), as it’s a small download. When you’ve downloaded it, it’s time to download a favorite GNOME applet to try out. Once again, you’ll see that this is a very small installation, and should go by very quickly. 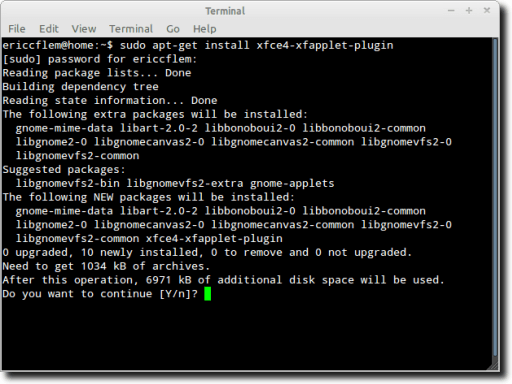 When the download is complete, that’s it for installations; now it’s time to get our GNOME applet up and running. 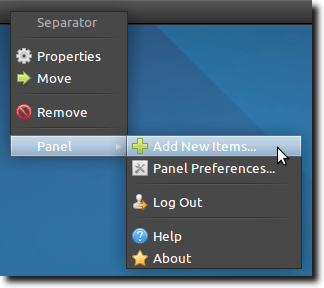 If you’ve read our previous article about adding program launchers to the Xfce panel, this should be familiar to you. If not, we’ll go through the process fairly quickly. 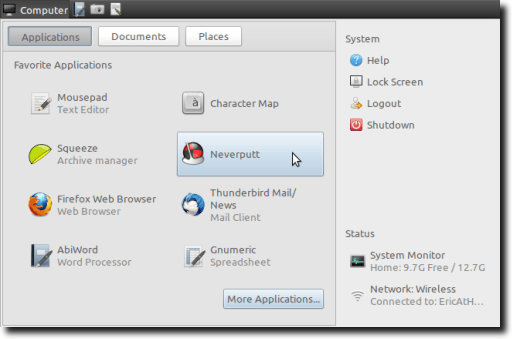 First, right-click on the panel where you want the GNOME applet to appear. Navigate to the Add New Items menu in the Panel submenu. 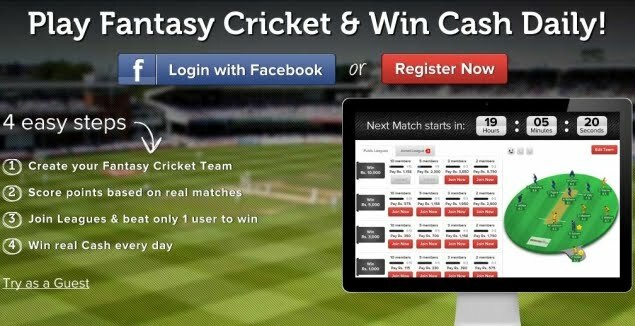 At (or near) the very bottom of the list is XFApplet. You can either click and drag it to where you want it on your Panel (probably the simplest way), or highlight it, then click the Add button. If you choose the second option, you may later need to move the applet into position. 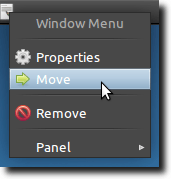 This can be done by right-clicking the applet icon and choosing the Move option, as shown. When you’re finished adding and possibly moving the XFApplet, there’s just one step left. 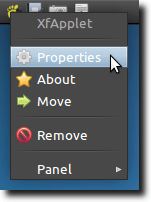 Right-click the new applet, and choose the Properties option. A new window will open, showing you all of the GNOME applets currently installed on your system. As we’ve only installed the GNOME Main Menu for this example, there is just the one to choose from. Once you’ve selected it, you should see the generic GNOME icon change to whatever GNOME applet you’ve selected. In this case, we see a computer icon and the label “Computer” appear. When we click it, we see the new GNOME Main Menu in all its glory. And that’s it! 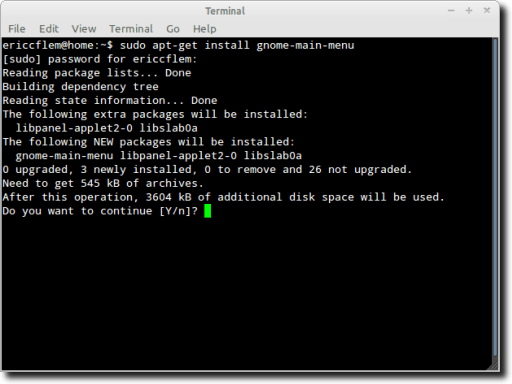 To be fair, there is a lot of duplication between the applets that ship with GNOME and those that ship with Xfce, but if you are looking for that one special applet from GNOME that you just can’t live without… now you don’t have to!